A recent discussion about the stock market with a friend last week catalyzed some relevant MTG finance thoughts to flow through my mind. The friend asked me about a stock that he regretted not purchasing, after watching the ensuing outperformance of the equity. He was disgruntled for not trusting his own instincts. I tried my best to alleviate his distress by pointing out how a missed opportunity to profit is certainly not the same as an incurred loss. Shortly after our chat I was faced with a paralleled emotion in the world of Magic, and I almost made the same reckless mistake I cautioned my friend to avoid on Wall Street. The card that triggered this reaction of mine is Scout’s Warning. Ever heard of it? Don’t worry if you haven’t – I never had either until someone mentioned it to me. Apparently the scout assigned to alert me to random buy-outs was not on duty last week because I received no warning about the card’s movement. TCG Player sold out completely, and I could find only a few lingering copies on the oft-forgotten website Cardshark.com. In reaction to the movement, I scrambled to add about a dozen copies of the card to my shopping cart. But before I clicked “Complete Purchase” I hesitated just a moment. Legion loyalist was on budget magic 2 weeks ago. It posted a 5 match win while going 10/0 in games. As soon as I saw it I purchased 6 playsets for around $12 each except for the foil playset which I got for $21. I have sold 4 playsets for $35.99 x 2 and 39.99 x 2. Using one to play and holding the foils because the modifier for the foils is only 1.2 at the moment. I have seen post from people on Twitter saying they won a local modern tournament playing the deck, even 2/0ing 2 eldrazi decks. The goblin deck has also pushed goblin piledriver and chieftain up also. At the time of posting the modern 8 wack goblin deck cost $66 to build and looked really good as it destroyed: affinity and merfolk. The more expensive version swapped out 4 cards for goblin guides. Thanks for the article. Thanks for the information, this is really handy to reference for me and everyone else. Appreciate it! I would love to see Goblins succeed in Modern – I just didn’t think it was possible. Hopefully I’m proven wrong. Congrats on the profits! Saffron’s budget goblins is sweet!!! I added 3 Siege-Gangs and the deck is brutal!!!! Wow, that’s incredible to hear. I didn’t have respect for Goblins…guess I should change my tune. Great article! I’m in agreement about Old School, especially collectible/playable crossovers in low supply. As others have stated about the Legion loyalist spike, it was due to MTGgoldfish’s SaffronOlive and his 8 whack deck. If you, or anyone here really, doesn’t watch his budget decks I would recommend it. While not all of them are hits some are ultra competitive. Even if the decks he makes are T2 the shell or people who want to play locally on a budget can influence the supply and prices on older cards causing moderate spikes. I’d recommend keeping an eye on his budget videos for this reason. I also should say I really appreciate this article. I’m very much the type of person you are describing to not become. I really enjoy your perspective. I should have said that earlier but was at work when I read and posted the first time. If Old School actually catches on (with EC ruleset which seems to be most popular in the US, which allows revised, fallen empires, IE/CE, & original-border original-art non-foil reprints), then minty revised things could actually take off too. Granted there’s like 9x the print run on revised, but people like playing with this stuff, and it’s nostalgic to the childhood of a lot of people who are coming into money right now. Just look at Pokémon cards… young adults who suddenly have money think “Man, I always wanted a first edition Charizard…” and they spend the cash to make it happen. You’re absolutely right on all accounts. But I’m not familiar with this Fallen Empires / Ice Age version. If that’s truly the expectation, then I need to be playing Hymn to Tourach in my B/W build ASAP. I’ll look into this set of rules you cited. Agree that the nostalgia for the older cards also tends to overlap most with players who are older and have more access to steady income. Thus, there’s reason for all these older cards to continue to climb higher over time. Playing Old School offers a ton of nostalgic fun AND provides solid investment. It’s the best fit for me and best of all, cards never rotate and are never “reprinted” in an impactful capacity. I picked up Melira thinking it was a good mid to long term sideboard spec. Not a lot, but more than a playset. My intentions were to trade them out to people over a year or so. I was really happy to see Abzan Company/Project Melira come through against Eldrazi in recent modern events. I’m definitely selling/trading now. Selling on TCGPlayer for around $10 and trading for around $12 is great for such a short term spec. 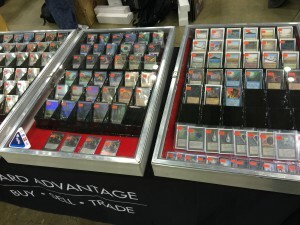 I’ve noticed a huge increase in people buying into “real” Commander decks lately. 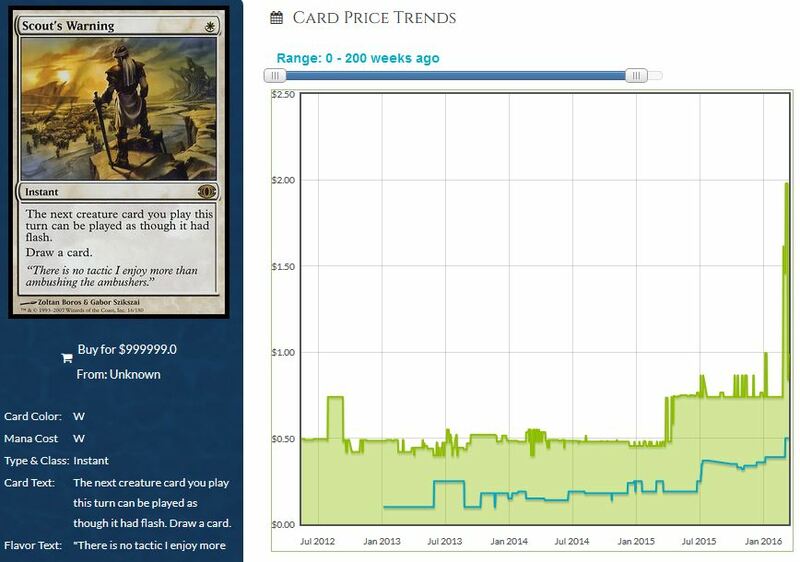 Key pieces and rare foils seem to be on the rise. I think websites like EDHREC have helped many people become more familiar with key staples and they are buying them up. When looking on the more competitive top 8 lists and price charts many of these cards show up as “not in any decks”. But if you look on EDHREC or somewhere, you can see that they are in fact a major staple in the format. I’ve had some GREAT success lately identifying EDH staples that are somewhat under the radar. Pick them up 2-6 months before most people do and you can see decent profits within a year. Just wanted to pass on the info to people that are weary of speculating on “random” cards and a volatile Modern format. I truly think that EDH has the most potential to grow out of any of the MTG formats. People shift around the other formats from set to set, meta to meta. People are ALWAYS building new EDH/Commander decks. Now that Commander is becoming more visible on mainstream websites and the “best” cards are becoming known to people outside of the format, prices are rising. I think some of the best and safest specs outside of reserved list cards and power are Commander staples. Preferably first print foils that shrug off reprints or dodge them with ease. Anyway… Your article reminded me of my focus, so thanks. I’d much rather pick a bad spec on my own than randomly buy into cards that are already spiking. So far I’ve been successful with my own judgement anyway. Cards like: Doubling Season, Tooth and Nail, Voice of Resurgence, Knight of the Reliquary, Karmetra, Gaddock, Ajani, Mentor etc… Those are all cards I already liked jamming into Selesnya EDH decks and all of them have gone up considerably in the past year. Some due to Modern/Legacy but most due to EDH. I think the moral of the story is stick with what you know/like/play when it comes to speculating. You are far more likely to see success and even if you “fail” you end up with cards you like anyway. Although it helps to speculate on cards that completely roll you too! Thanks for the thoughtful article Sig. Hopefully it gets some people focused on their priorities. 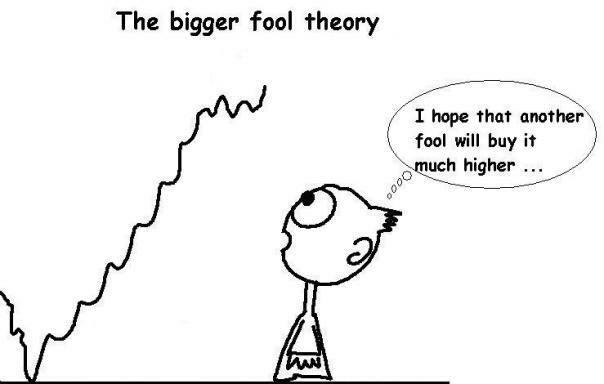 Whatever they may be.